A chemical peel can diminish many signs of ageing on the face as well as the hands, neck, and chest.A chemical solution is applied to the skin that causes it to exfoliate and eventually peel off. The new, regenerated skin is usually smoother and less wrinkled than the old skin. 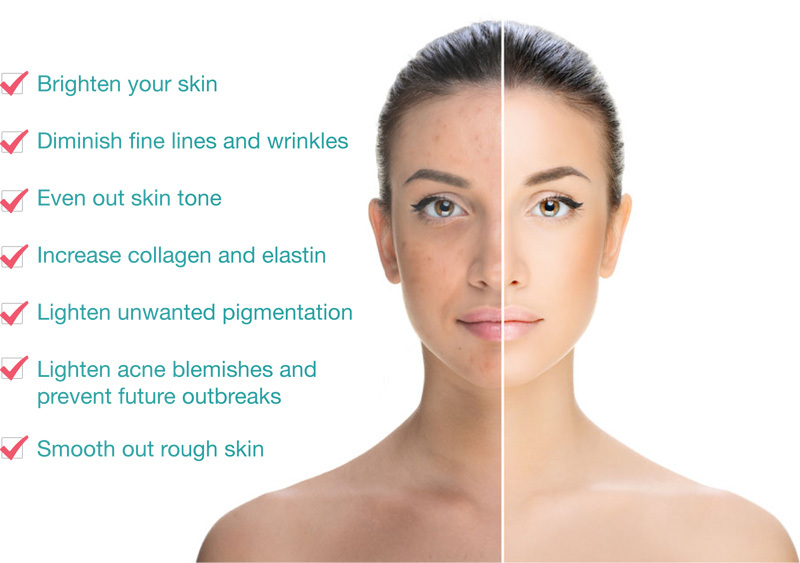 Chemical peels also treat some skin conditions. 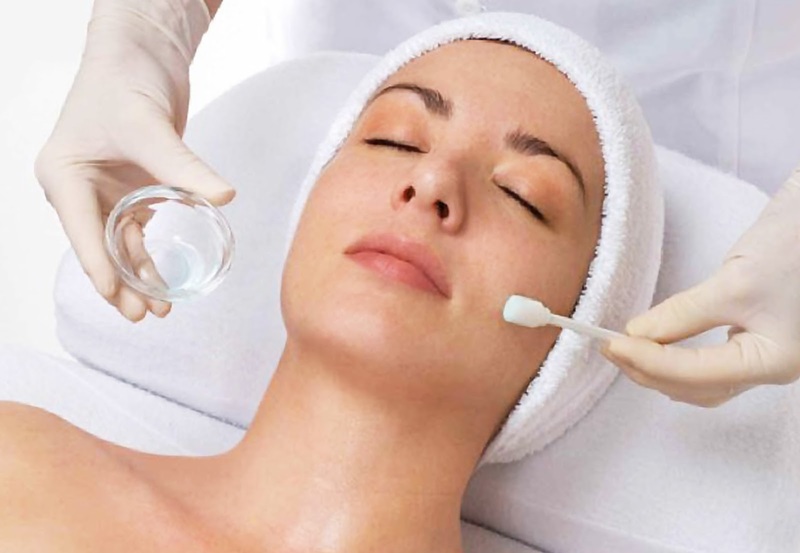 Chemical peels will make the skin smoother, brighter, more even skin colour with fewer lines and wrinkles. Alpha-hydroxy acid or another mild acid is used to penetrate only the outer layer of skin to gently exfoliate it. Medium peel: Glycolic or trichloroacetic acid is applied to penetrate the out and middle layers of skin to remove damaged skin cells. Deep peel: Tricholoracetic acid or phenol is applied to deeply penetrate the middle layer of skin to remove damaged skin cells. 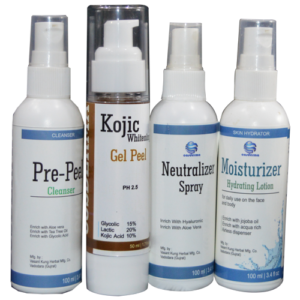 Popular chemicals in peeling solutions include retinoids (tretinoin dissolved in propylene glycol), alpha-hydroxy acids (lactic acid and glycolic acid), beta-hydroxy acids (salicylic acid), trichloroacetic acid, and phenol (carbolic acid). Jessner’s solution, a combination of resorcinol (14 g), salicylic acid (14 g), and lactic acid (85%) in ethanol (95%), is also an excellent peeling agent. It is essential to do prepeel priming of the patient’s skin with sunscreens, hydroquinone and tretinoin for 2-4 weeks. Treated skin will initially be red and may scale. Lotion or cream should be applied until the skin heals, followed by daily use of sunscreen. Most patients have no side effects, though some may experience normal temporary side effects which can occasionally include redness, mild stinging, mild swelling, and visible peeling.